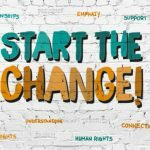 Two Publications For Teachers Published – START THE CHANGE! The ‘Start the Change!’ Manual was created within the project ‘Start the Change! – Embracing Diversity through Intercultural Education and Volunteering ‘, which aims to empower teachers, young people and their parents in understanding and recognizing the complexities and challenges of modern society and strengthen their personal, social and civic competences. Four thematic areas of the manual provide teachers and other experts working with young people with varied and rich content to empower their students and support their development into happy, mature and responsible individuals. Part one of the manual brings a detailed description of the ‘Start the Change Project!’, which is carried out by the Forum for Freedom in Education from Croatia in partnership with Think Global from the UK, the Youth Centre of Dravinja Valley from Slovenia and the Centre for Creative Development “Danilo Dolci” from Italy. 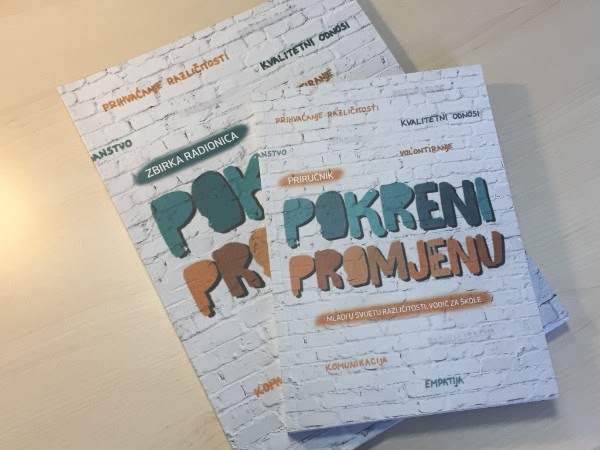 Part two of the Manual brings some interesting results of the research carried out among young people in the four partner countries allowing the reader to get acquainted with attitudes, opinions, and values of the youth regarding the challenges they, as well as their respective societies, are facing. The research mentioned above represents the basis for the ‘Start the Change!’ training program described in Part three of the Manual. The program is intended for educational staff, offering them content that empowers them to support young people in developing their self-resilience, positive self-image, capacity for self-actualization, quality communication and building relationships with those that are different from them. The fourth and fifth chapters of the manual provide concrete tools and examples of good practice in working with young people to encourage readers to plan and implement projects in their local communities. The Manual is developed in 4 languages: English, Italian, Slovenian, and Croatian. „Start the Change!“ workshop collection. 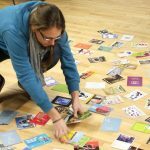 The workshop collection was created for teachers in order to directly implement workshops with students that is organised here in three major areas – personal and social development, civic education and volunteer projects. The aim of the publication is to help students develop their civic competences – i.e. knowledge, skills and attitudes that characterize children and young people as active members of their community, while empowering them to better know and express themselves and their identities. All of this will contribute to student’s better understanding of the complexity of the world in which we live and develop in them the values ​​of tolerance and celebration of diversity, as well as the sense of deep respect of everyone living on the planet Earth, including the planet itself as a unique network that connects us all. Each workshop is designed to last one school hour. Each unit begins with a description of the workshop, followed by some useful tips for its implementation and a worksheet for the students. There are also ideas for additional activities, suggestions of additional sources, or a quote as an incentive for discussion. The workshop collection is developed in 4 languages: English, Italian, Slovenian, and Croatian.